Moving forward into 2018, a couple of changes to the V8 rules are going to be made. 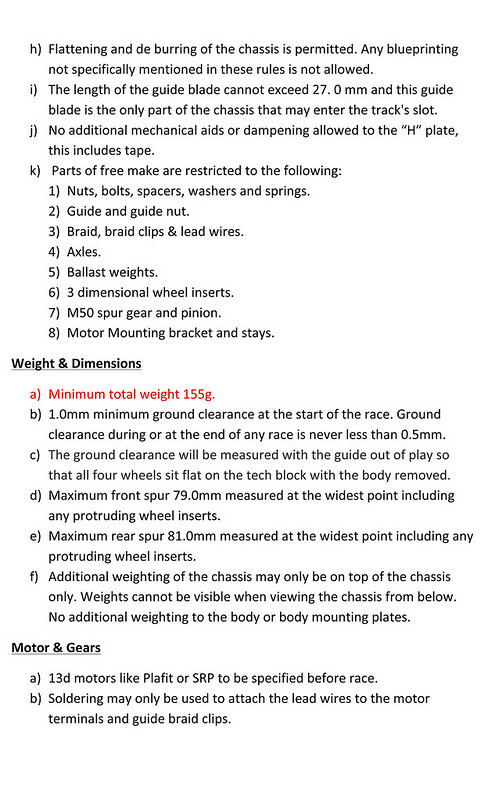 These changes will be in force at the Hornsby enduro. 1: 55mm roof height mounted on the chassis with guide out of play. 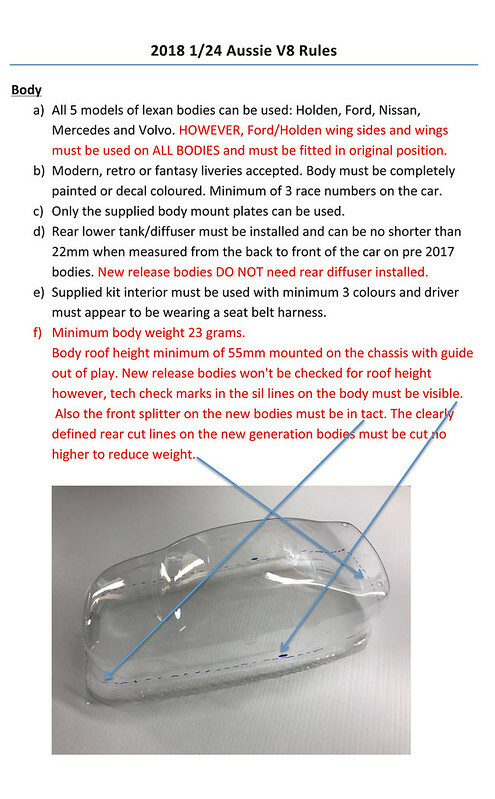 New release bodies won't be checked for roof height however, tech check marks in the sil lines on the body must be visible so don't remove lexan above the cut lines. Also the front splitter on the new bodies must be visible. 2: I've finished the new Hldn and Frd is almost finished (about 2 weeks away). 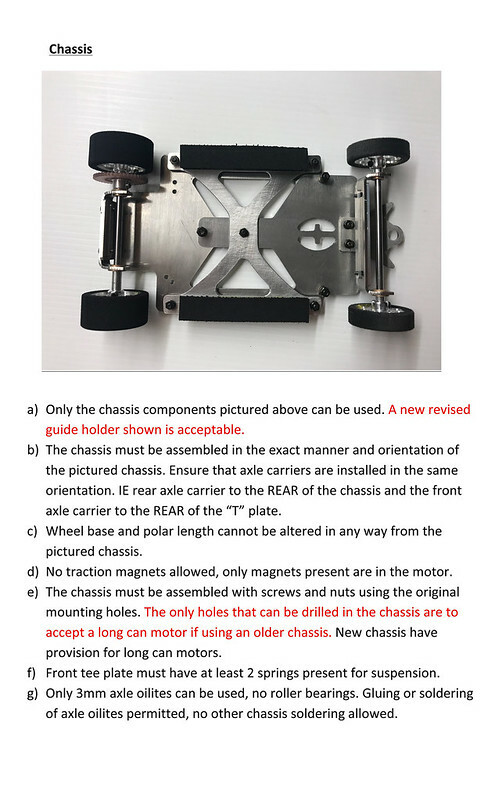 The new bodies will NOT be supplied with the rear splitter/tank and won't be included in the rules. The original bodies still have to run the rear splitter as per existing rules. Edited by Camber, 14 November 2017 - 07:02 PM. Please see below 2018 Aussie V8 rules. Edited by Camber, 24 December 2017 - 10:36 PM.